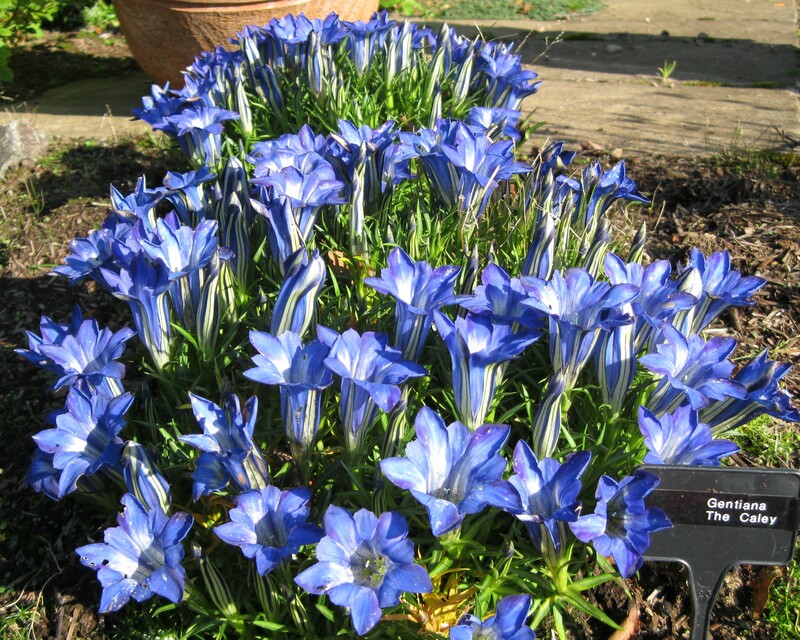 The intense blue trumpets of gentians are one of the glories of the autumn garden. 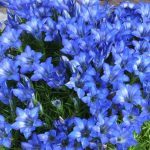 These grow well in Scotland as they dislike alkaline soils and do require good levels of moisture during the warm summer months so be prepared to water them in a dry spell. If your soil is very heavy, they benefit from organic matter to open up the drainage – if this is not possible consider growing in ericaceous compost in a container. Some of the new varieties have been developed for this purpose as they are more compact than the older ones which trail. Most are forms or hybrids of G. sino-ornata first introduced from Yunnan in China by George Forrest in 1904. The species is itself very variable. More difficult to grow is the sky-blue G. farreri named after the well-known English rock gardener. Some of the sino-ornata hybrids are more vigorous, pale blue types e.g. 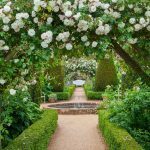 ‘Devonhall’ and several white cultivars are now available. You sometimes see forms with blue and white stripes, but these seem to be unstable. ‘Eugens Allerbester’ is a double but an acquired taste! Any with the word “Silk” in their names were bred at Aberconwy nursery in north Wales by Keith Lever as was ‘Gorau Glass’ (best blue in Welsh). The have just introduced a very attractive sky-blue with some farreri parentage named ‘Silken Star’. This has been derived from the plant Alec Duguid introduced when at Edrom nursery. The Berrybank series as well as more recent ones with Scottish place names were raised by Ian McNaughton and have been distributed by Macplants. ‘Balmoral’ and ‘Braemar’ both flower earlier than most. His introduction named after the Caley has proved to be a very floriferous late variety. ‘Oban’ is a nice white one. One of the newer ones, ‘Troon’ is a deep blue, almost purple. By winter the plants turn brown and the old foliage can be taken off – new growth will push up in spring. These plants usually divide easily into small thongs which can then be grown on.